Post Tagged with: "baja sur mexico"
Water is the earth’s most effective remedy for stress, and nothing washes away the tension and frustration of a hard day, week or even month like the sound of waves lapping on the sand. The rejuvenating properties of water explain easily why most of the world’s popular vacation destinations are surrounded by the stuff. The Islands of Loreto, one of Mexico’s most loved vacation spots, is no exception to this rule. When you stay at the Villa del Palmar at the Islands of Loreto you’ll find that the endless, sparkling waters of the Sea of Cortez will wash away all your cares and leave you refreshed, relaxed, and ready for whatever the year ahead brings! Villa del Palmar at the Islands of Loreto offers guests the chance to try water activities and sports of all varieties! You can choose a gentle swim, some snorkelling amongst schools of beautiful fish, or be adventurous and give diving a chance. 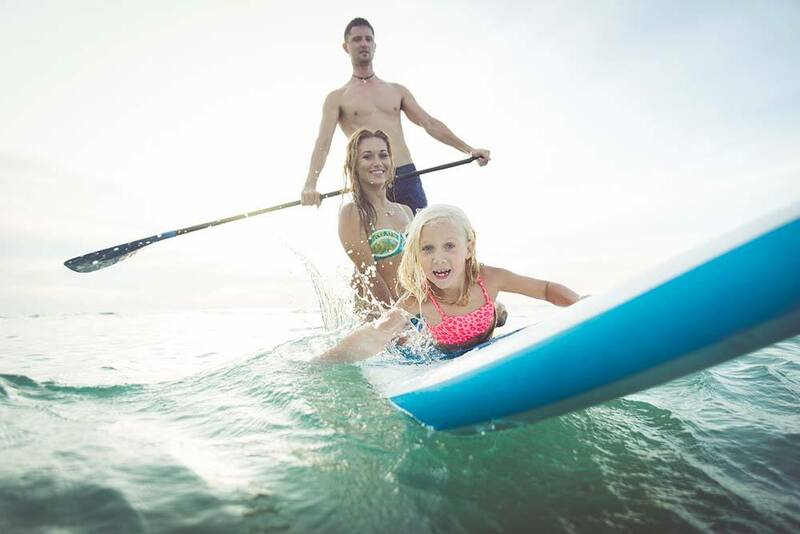 Those who like to stay above water can try paddle-boarding or kayaking around the glorious Danzante bay which is the heart of the Sea of Cortez. All types of sea lovers will find opportunities for water activities to suit them at Villa del Palmar at the Islands of Loreto. Snorkelling and diving are best for those who like to get up close to nature. Beginners will find that there are plenty of accompanied tours which will show you the ropes, but certified divers can head out on their own to experience their very own adventure with a guide. The remarkable surroundings make this island a divers’ paradise, but those who want to stay a little closer to the sea shore than the sea bed will find snorkelling better for them. The waters of the bay are clear and warm; perfect for gentle exploration. Those who’d like to stay dry at Villa del Palmar at the Islands of Loreto, but want a good view can take advantage of the resort’s glass-bottomed kayaks. These nifty little boats will allow you to see the spectacular marine world below at a safer distance – a great water activity. This way you can see the islands of Loreto and the stunning beauty of Danzante Bay at your own pace. Alternatively you can borrow some of the resort’s paddle-boards and get a nice tan, as well as some exercise, at the same time! Whether you are a novice, an expert, and adult or a child you will be able to enjoy the stunning waters of Danzante Bay when you stay at the Villa del Palmar on the islands of Loreto.